Bobby is an integral part of Global Hockey Camps & Clinics as the Vice President of Hockey Operations. 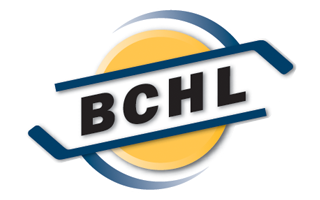 Having spent five seasons in the BCHL, including a season as captain, with the Chilliwack Chiefs, Bobby has a vast knowledge of the game and has spent his post playing career teaching aspiring players the techniques of the game. Following his BCHL playing career, he earned a scholarship to the University of Nebraska Omaha where he played for four seasons. He’s in his eighth year as part of the Rivermen Coaching Staff and seventh season as Head Coach and General Manager. Bradley is entering his first season as Associate Head Coach for the Langley Rivermen. In the past season Bradley served as the Associate Head Coach for the Langley Trappers in the inaugural season. Throughout the past 34 years, Mike has independently owned and operated multiple Performance Training companies in British Columbia and has served as the Strength and Conditioning Coach for the NHL Calgary Flames affiliate as well as many junior franchises throughout the province. He has closely worked with dozens of professional hockey players throughout his career and to this day, continues to provide a supportive, mentoring relationship with almost all. Certifications acquired are Canadian Hockey League Level 1 & 2 Coaching Certification; “RESPECT in Sport training”Certification & “Speak-Out” Certification: trained to educate and prevent bullying, harassment and abuse in hockey across Canada; NSCA, National Strength and Conditioning Association and BCRPA Certification. Mike and his wife Kim serve in a number of ministries at their church and have long been active in charitable and fundraising causes in the community and surrounding areas wherever they have resided throughout North America. Joey Ali is in his first season with the Langley Rivermen. His insight is brought forth from years of playing experience; Junior B (PJHL), Junior A (AWHL) & College (NCAA, conference MCHA). He received his scholarship after winning a national title at the Junior A level. He’s received student awards for academics while studying business and marketing and athletic awards for his play on the ice during his years at college. In addition to using technology as teaching and training tools; his success is a result of the approach he takes (no cookie cutter approach) with each and every goalie he trains; being positive, energetic and challenging! Brayden is in his seventh season as the Athletic Therapist and Equipment Manager with the Rivermen. A Certified Athletic Therapist, he graduated from Mount Royal University with an Advanced Certificate in Athletic Therapy in 2011 after completing his degree in Kinesiology at Simon Fraser University in 2009. While in Calgary, Brayden worked as the Athletic Therapist and Equipment Manager for the Midget AAA Calgary Buffaloes and was the Assistant Athletic Therapist in 2011 for baseball’s Calgary Vipers of the North American League. A baseball enthusiast, Brayden also coaches several local youth teams in the off-season. 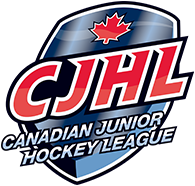 This will mark the fifth season that Brayden has served as the Athletic Therapist and Equipment Manager for Hockey Canada during the World Jr. A Challenge. Sean graduated with BA from Simon Fraser University majoring in both English and Psychology. He went on to graduate from the Alder School of Psychology with a Masters degree in Clinical Counselling. Currently, Sean owns Logan Creek Counselling and Consulting and is a Registered Clinical Counsellor accredited by the Canadian Counselling and Psychotherapist Association (CCPA) and BC Association of Clinical Counsellors (BCACC). Sean has a long history in hockey from having played AA, AAA and Junior level hockey and currently coaching in LMHA in the initiation level. Sean has worked with local minor hockey, WHL, NHL prospects and ex-European players overcoming issues such as performance pressure, goal setting , overcoming injuries, as well as life issues. Jordan and Jennifer Bateman are licensed ministers with the Canadian Ministers Association. Previously, they served on staff at Friends Langley Vineyard church and as lead pastors of Springbrook Church in Langley. They are sought-after wedding chaplains, having married off hundreds of couples over the past few years. In their “real” lives, Jenn is a single mothers services coordinator with the YWCA, while Jordan is the B.C. Director of the Canadian Taxpayers Federation. They live in Langley (2 minutes away from the Events Centre) and have three children: Indiana, 10, Danica, 6, and future Rivermen star Jackson, 3. © 2019 Langley Rivermen. All Rights Reserved.